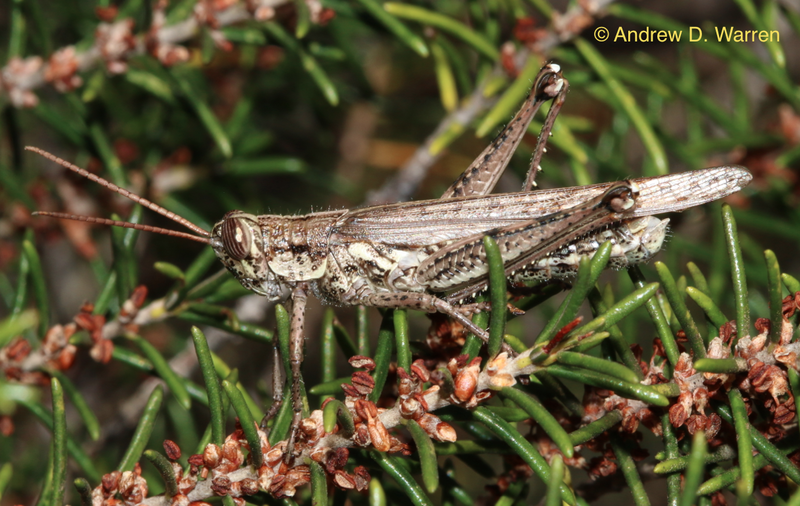 After loving grasshoppers as a kid, then subsequently paying them little attention, I’ve fallen back in love with grasshoppers! 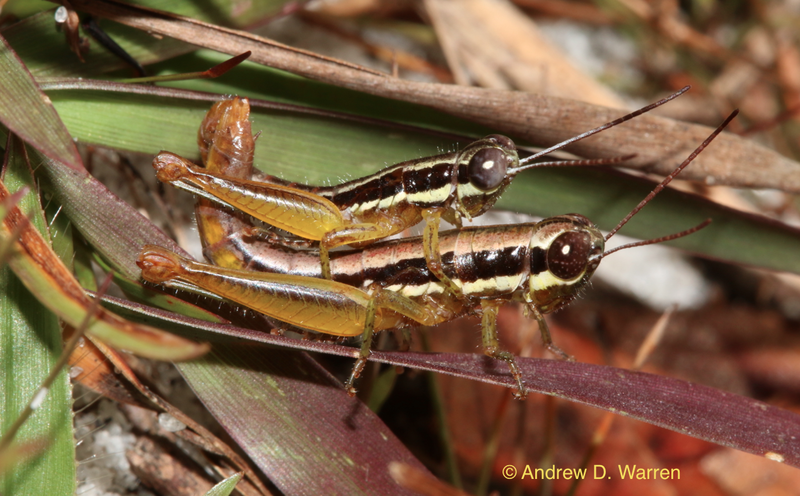 Probably the main reason grasshoppers have returned to the top of my list of favorite insects is due to a great book that enables me to identify virtually all of the species in Florida, where I’ve been living since 2006. 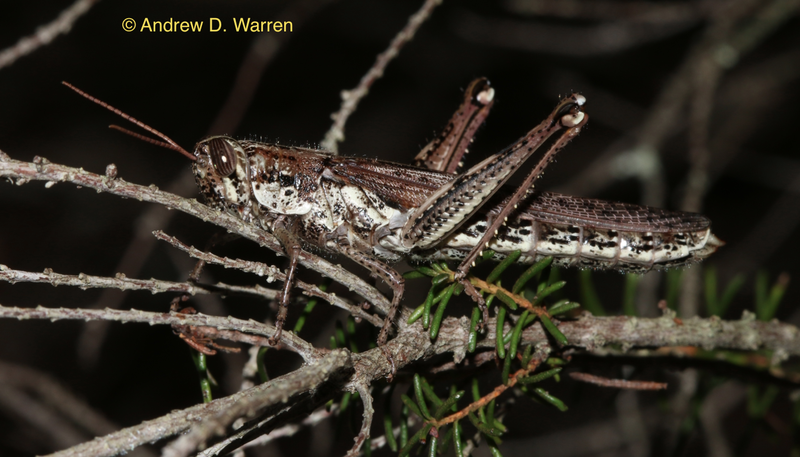 Easy access to species-specific information always makes learning a new group more fun and rewarding, and I thank Dr. Capinera for paving the way for me! 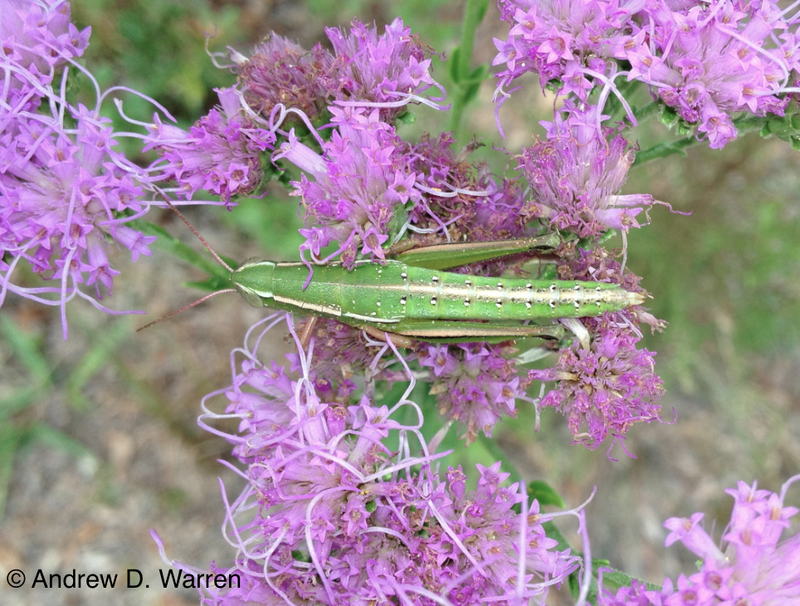 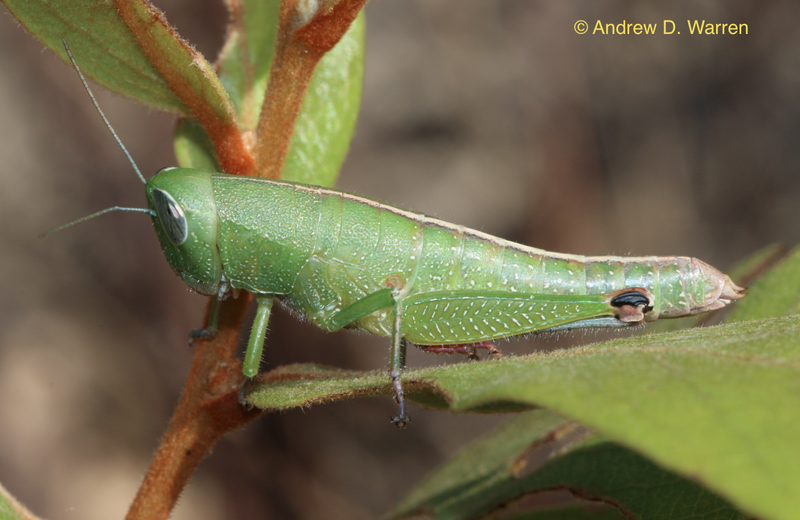 Up until now, I’ve simply tweeted all of my grasshopper photos, in order to share them with anyone interested. 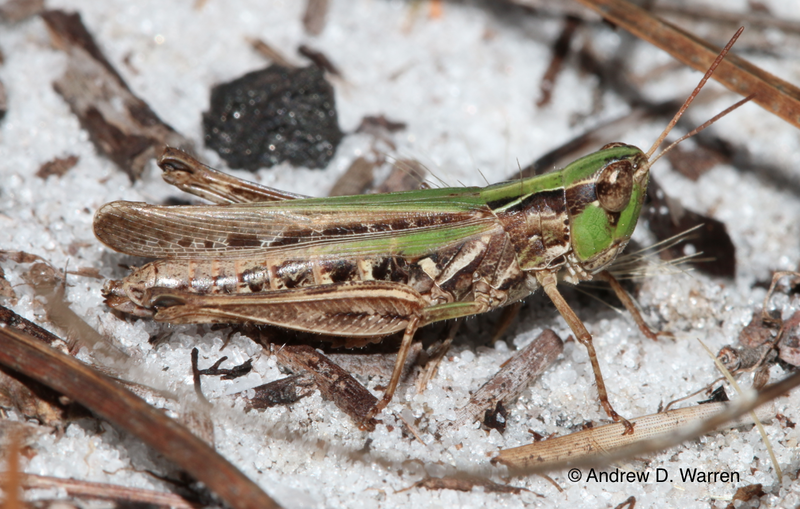 In an effort to keep track of which Florida species I’ve photographed, plan trips to photograph missing species, and to archive these photos in a place where they may be more easily accessible, I’ve decided to maintain the following list of Florida grasshopper species, illustrated with my photos, as a blog post. 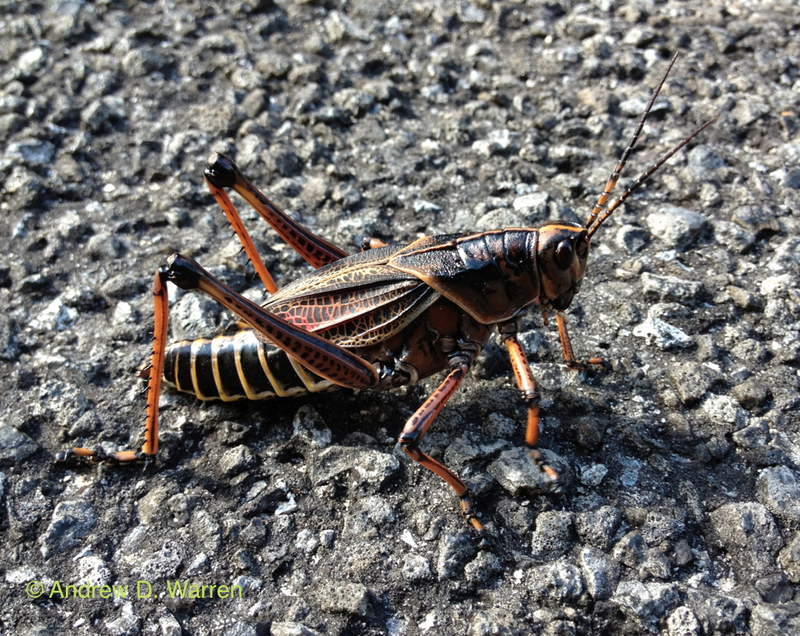 I’ll update this post regularly as I obtain additional photos. 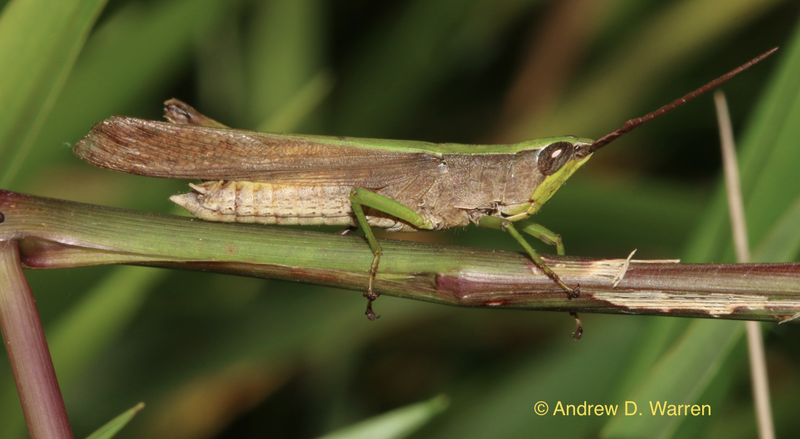 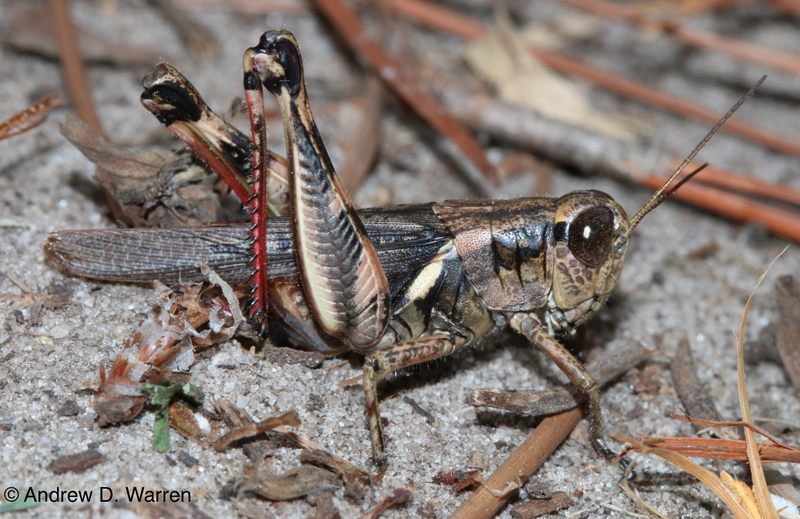 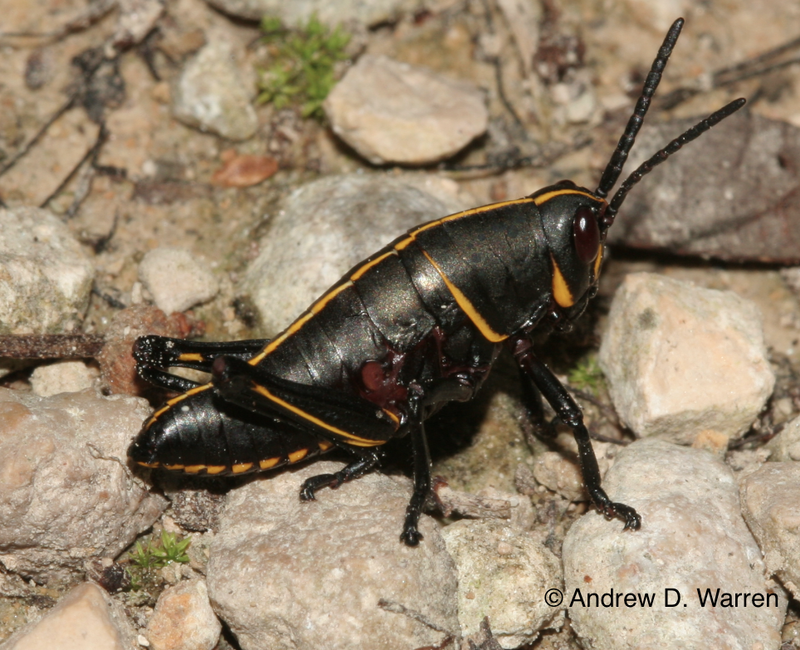 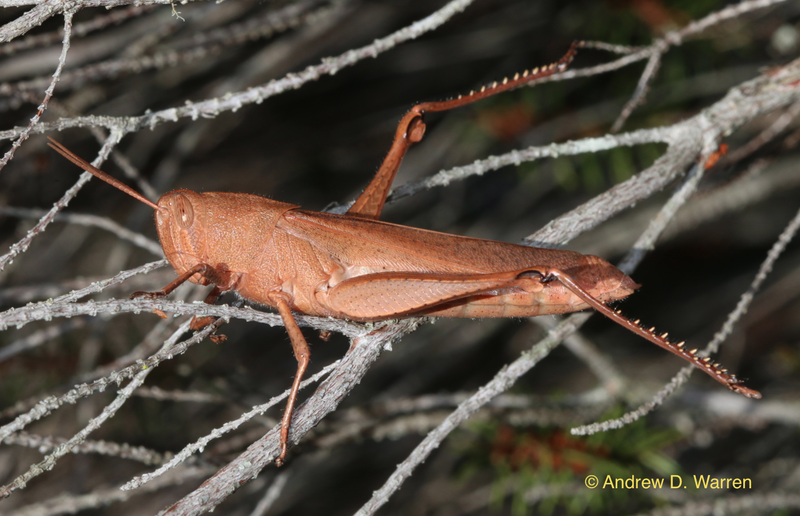 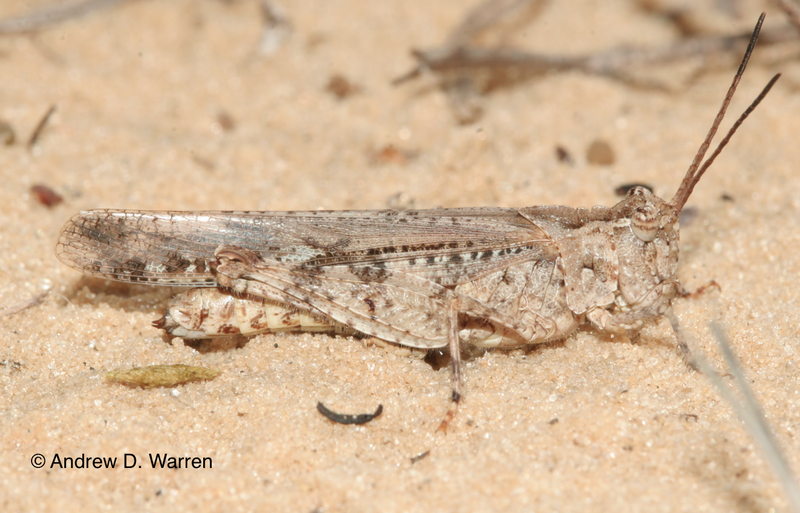 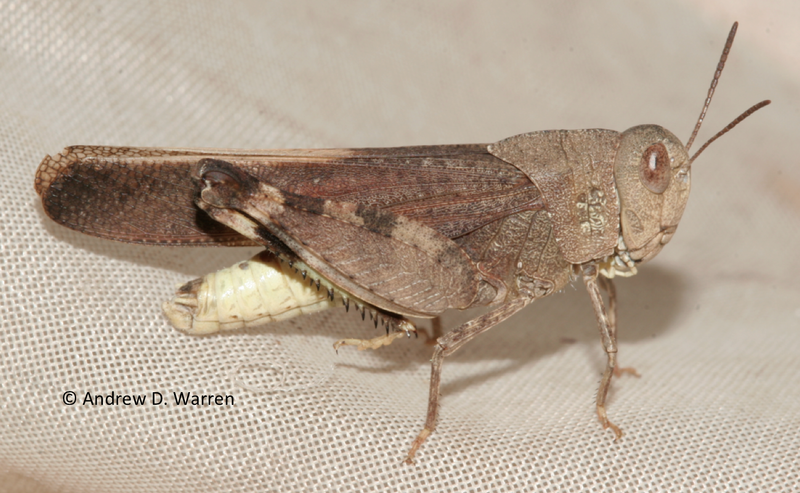 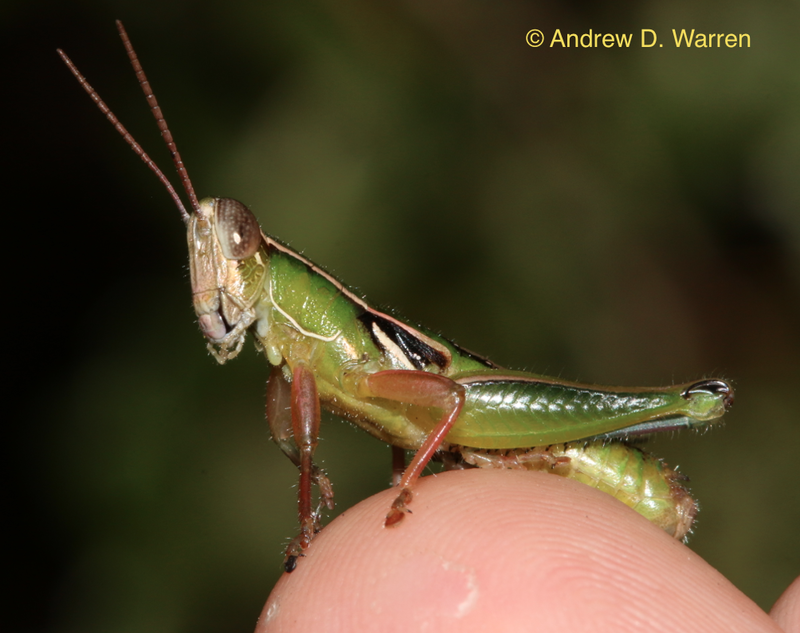 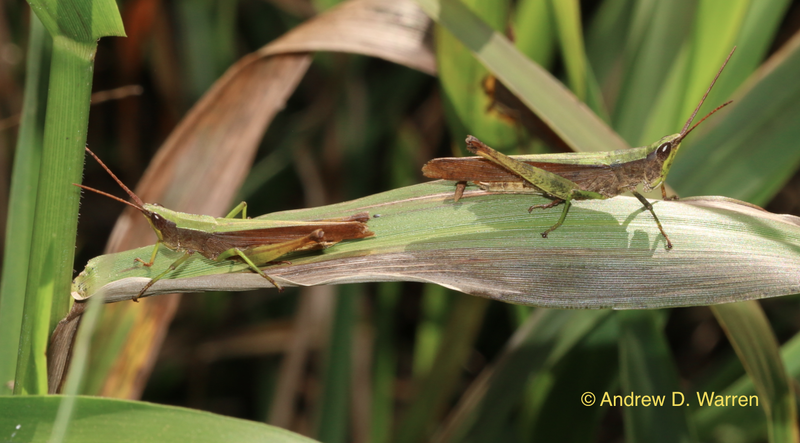 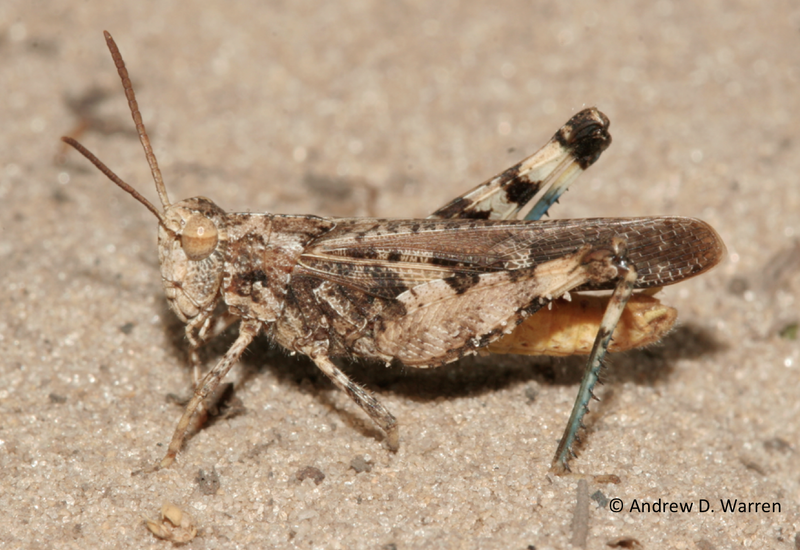 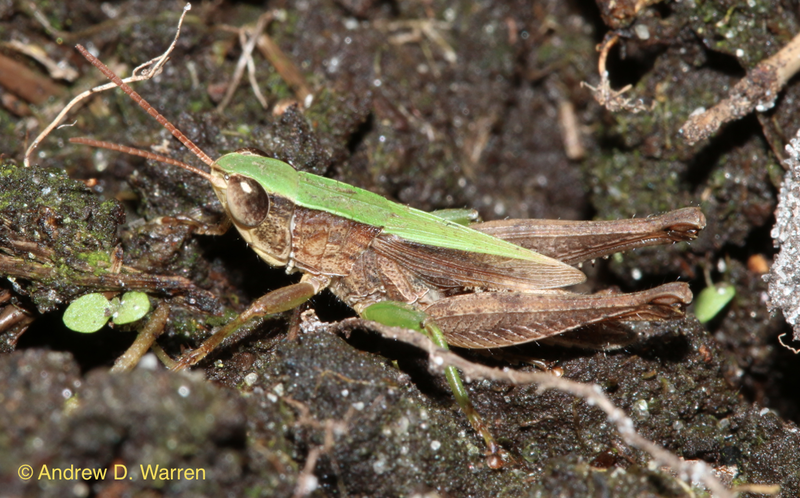 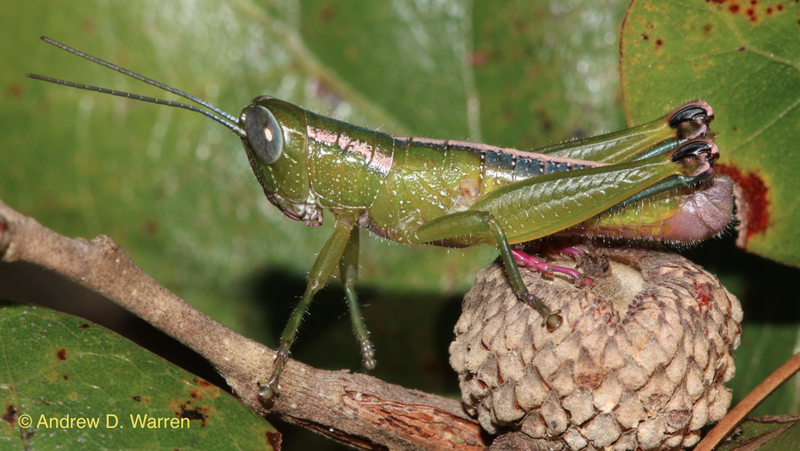 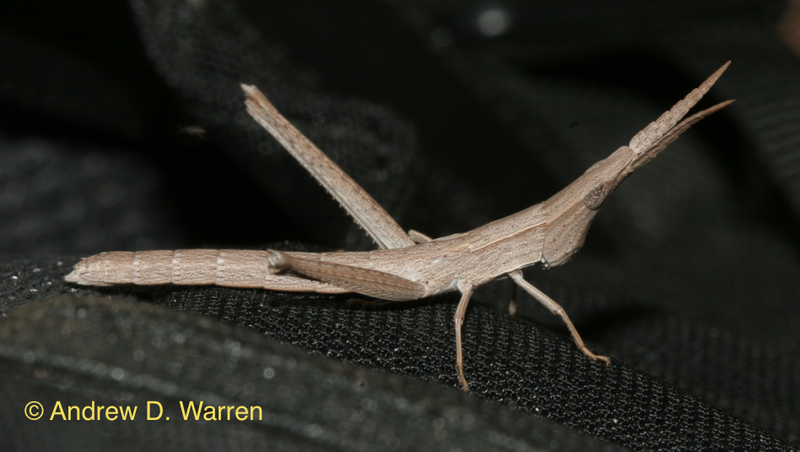 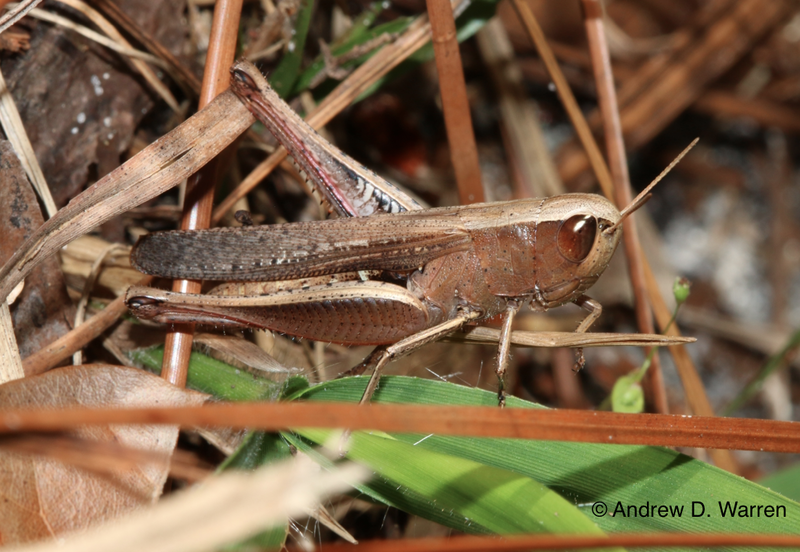 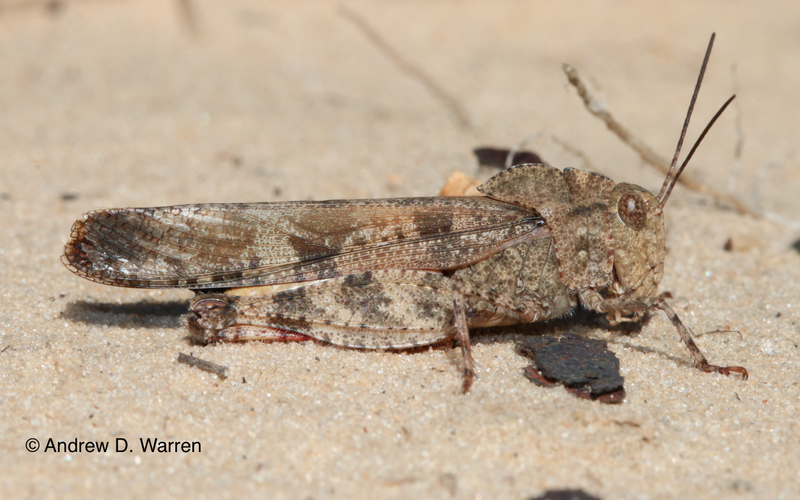 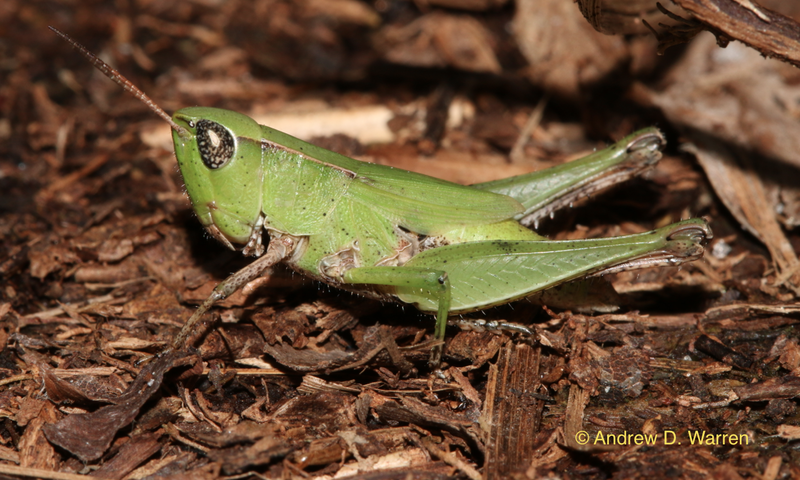 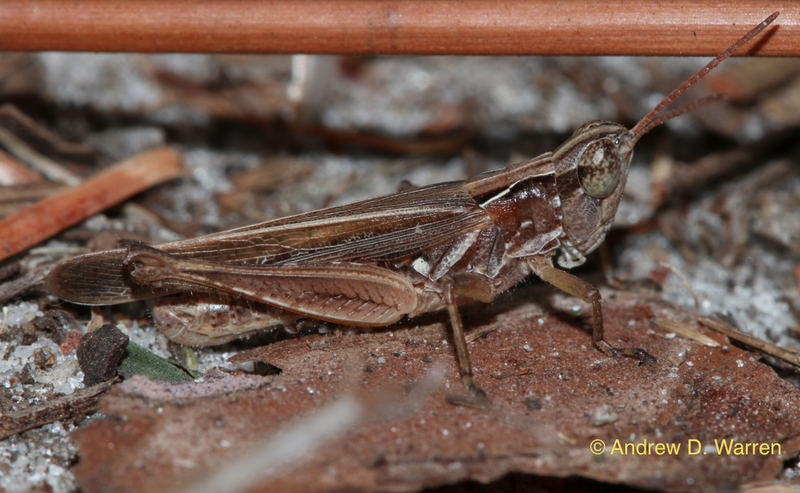 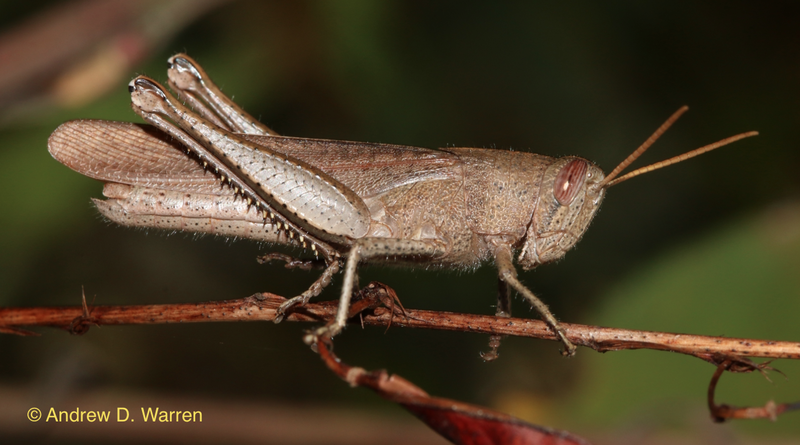 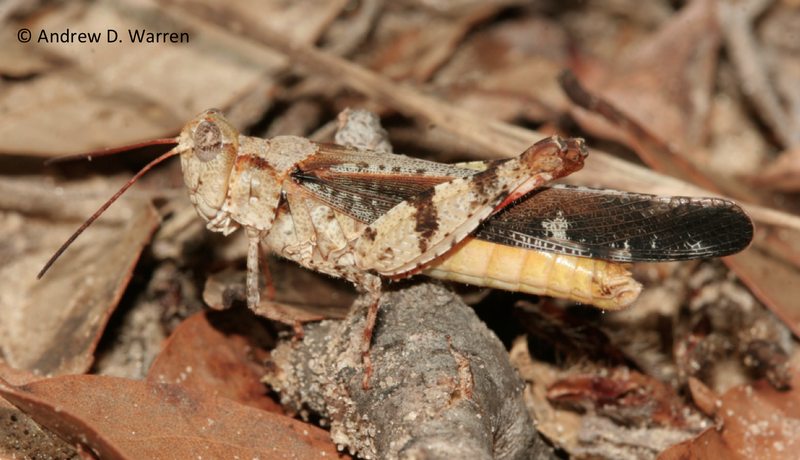 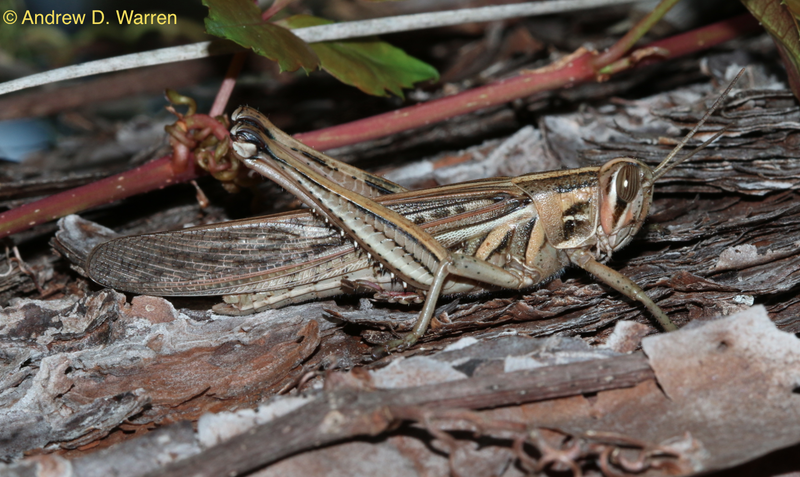 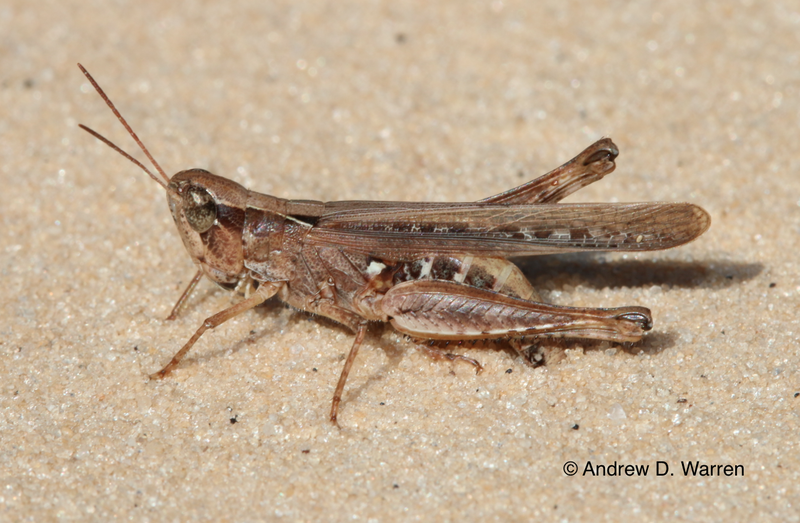 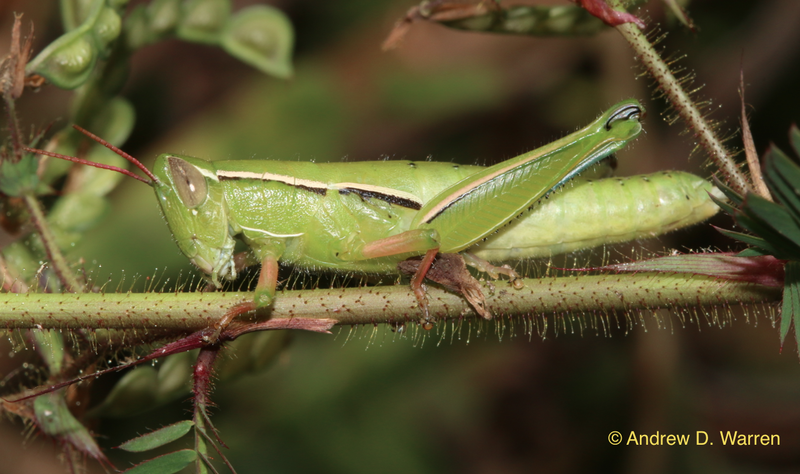 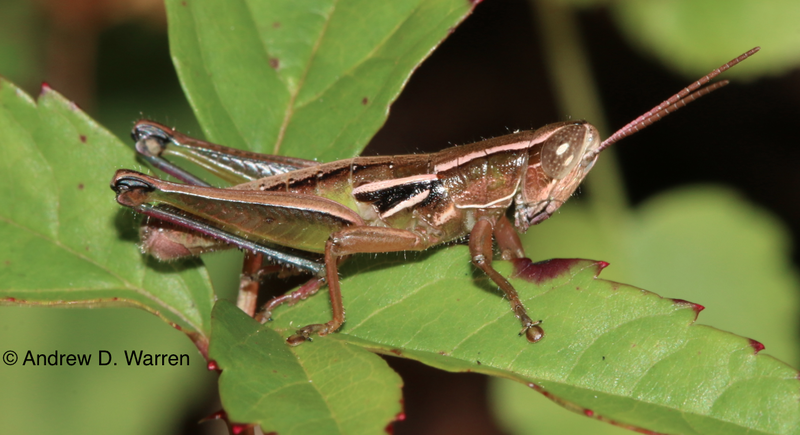 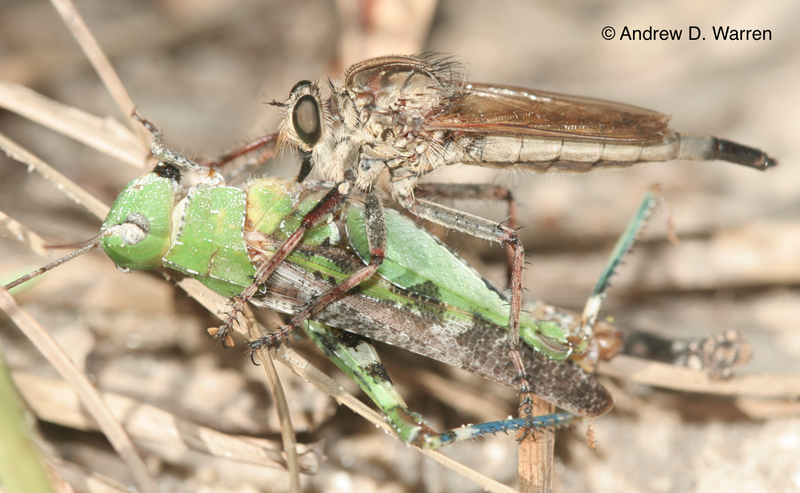 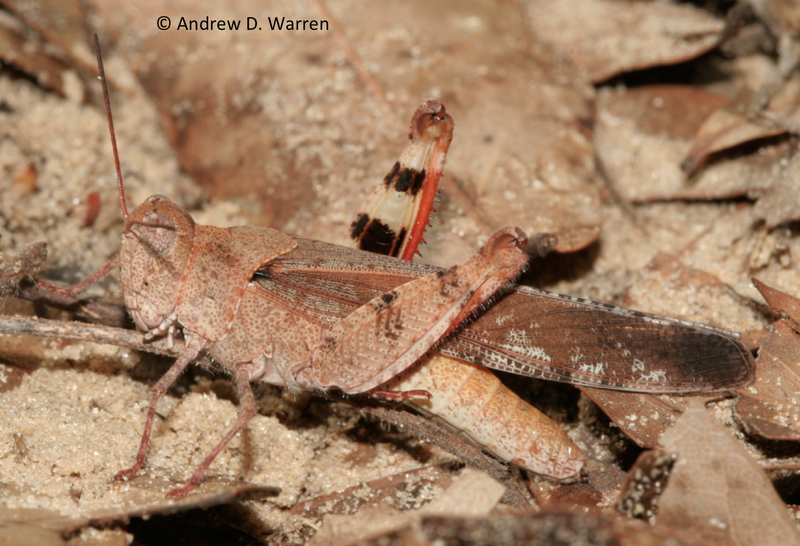 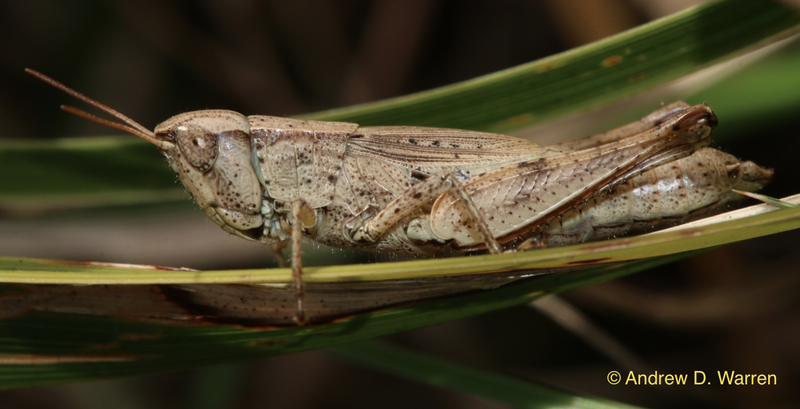 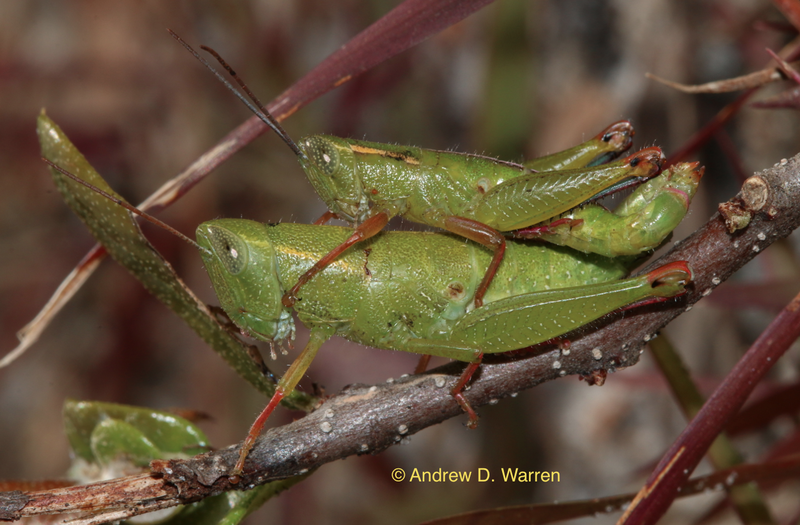 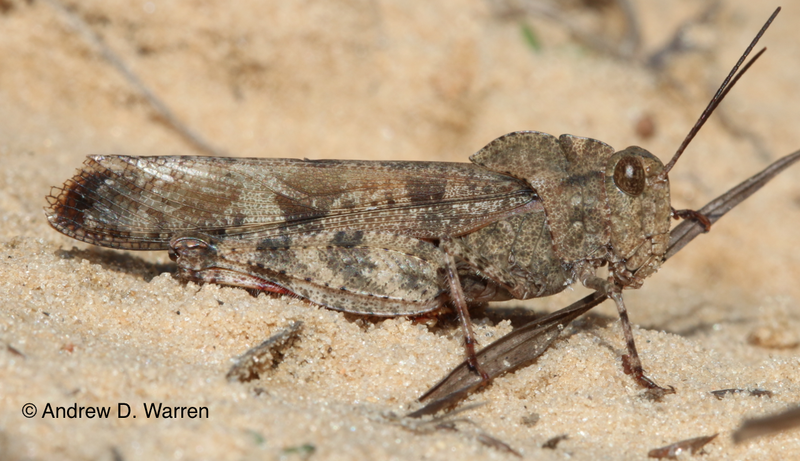 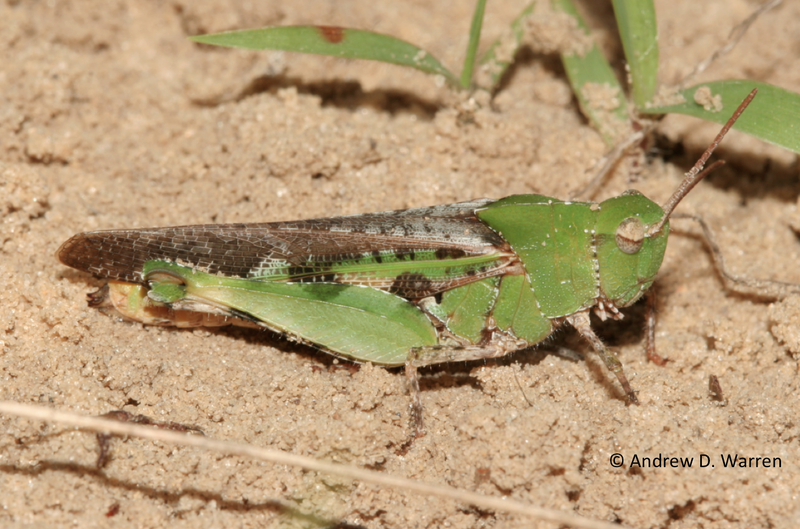 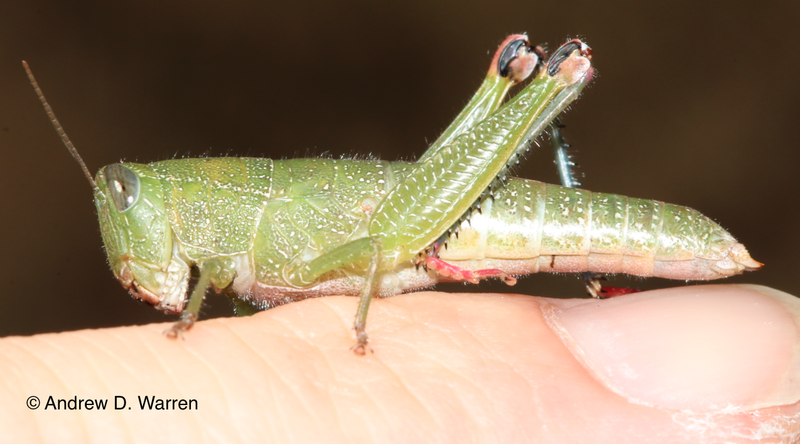 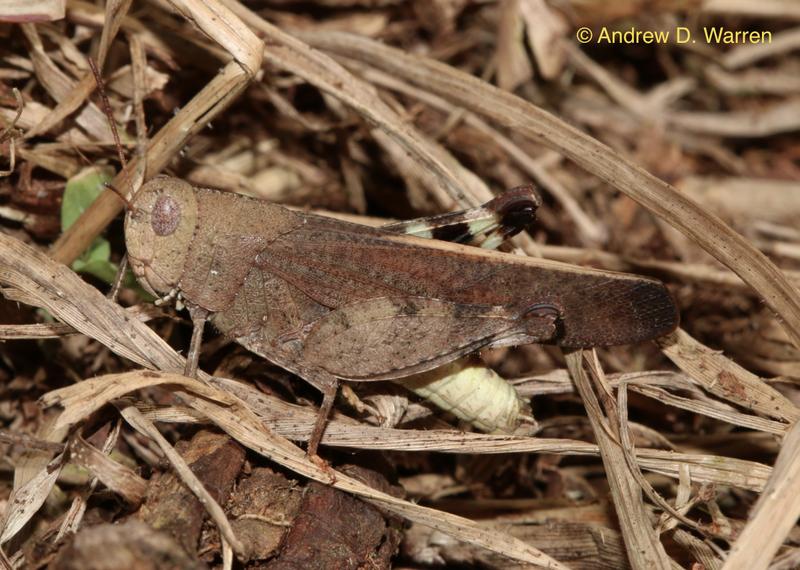 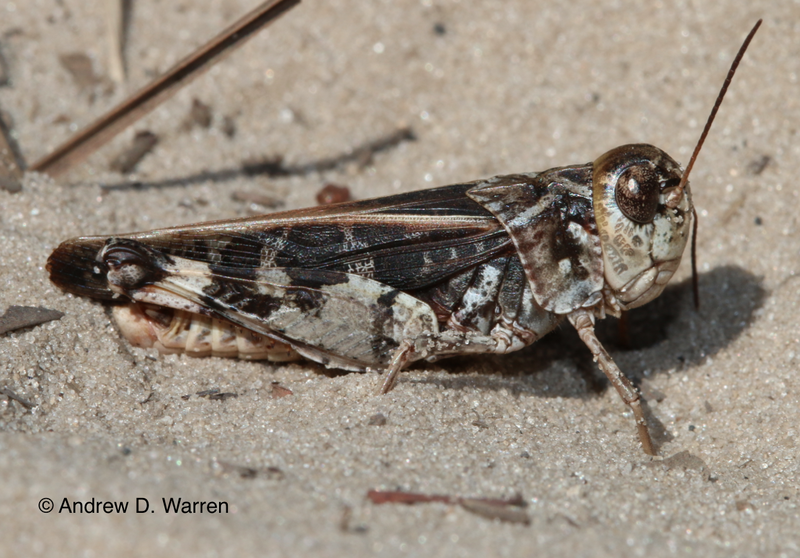 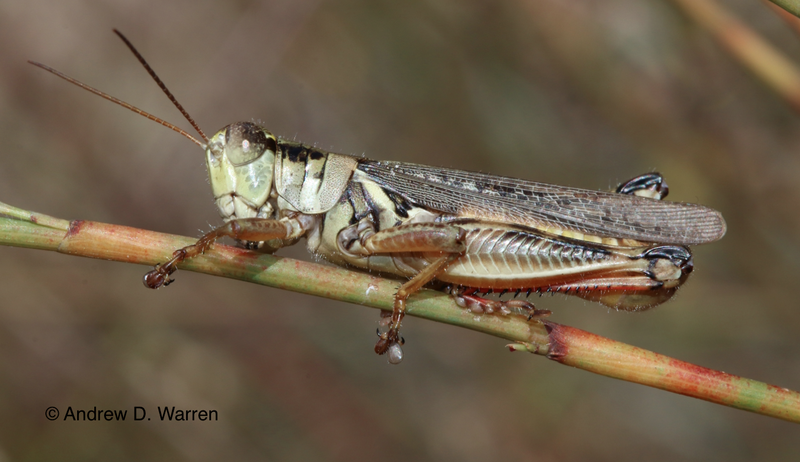 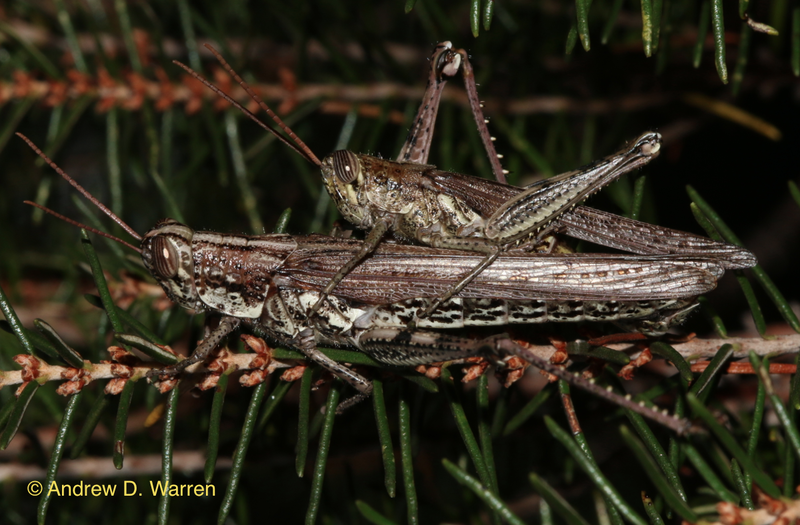 While the Capinera book is by far the best reference for Florida grasshopper species, much new information has been gathered since the book’s publication, and several new taxa have been described. 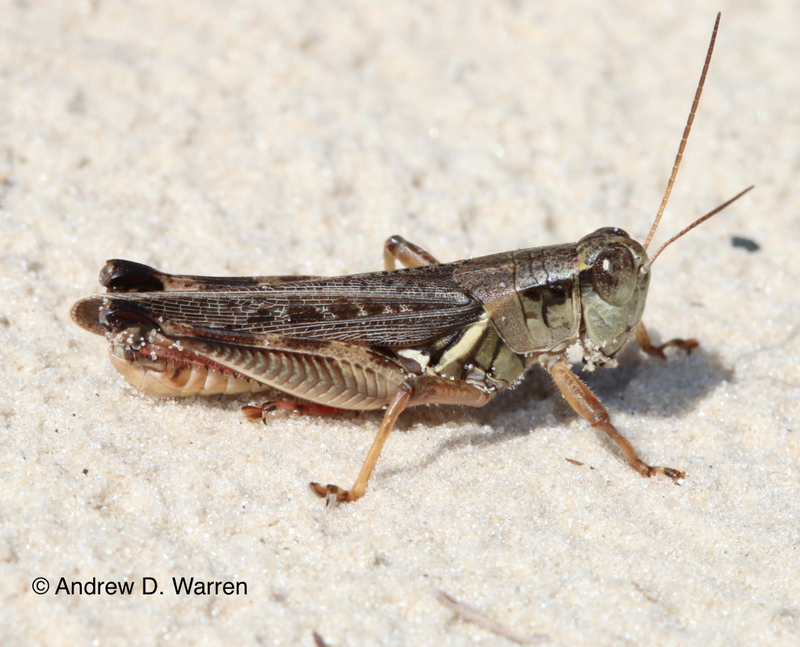 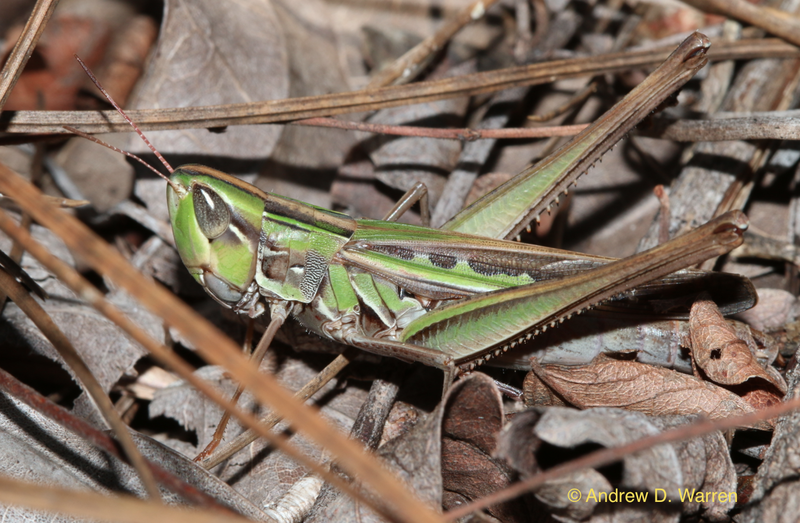 Currently, the most up-to-date list of Florida grasshopper species is maintained by the Mississippi Entomological Museum, listing 94 taxa (88 species + some subspecies) for the state. 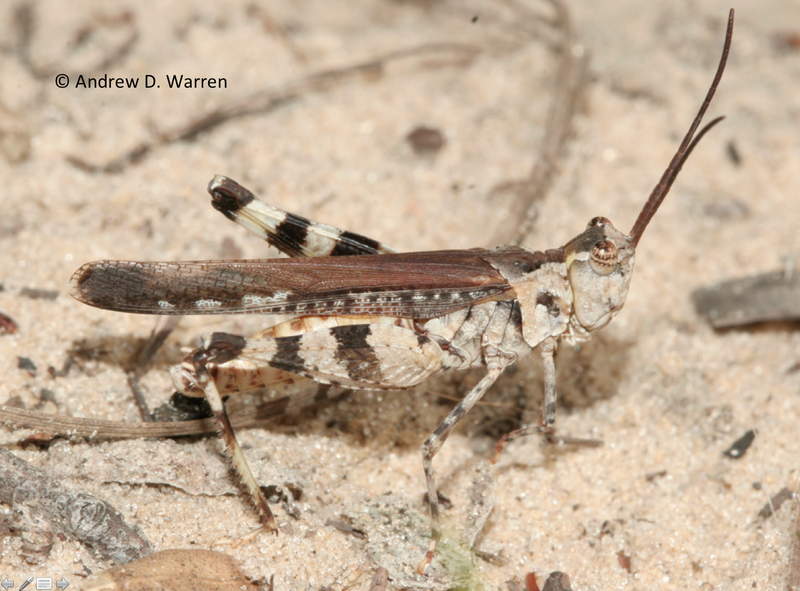 The list below is taken directly from the Mississippi Entomological Museum’s site, and will be updated as their list is updated. 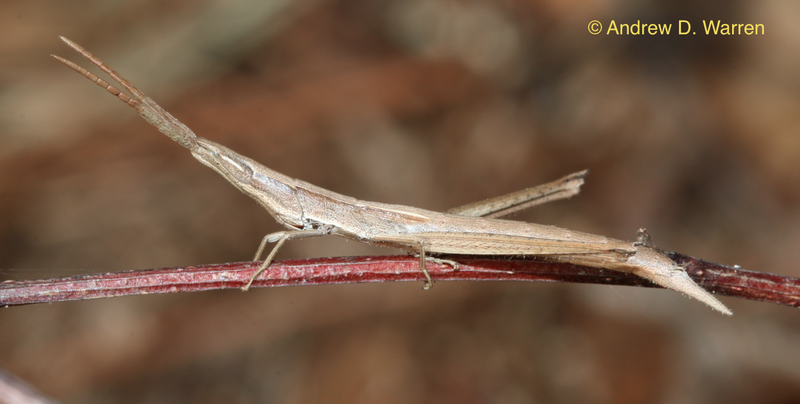 This entry was posted in Uncategorized on October 31, 2013 by LepScience.